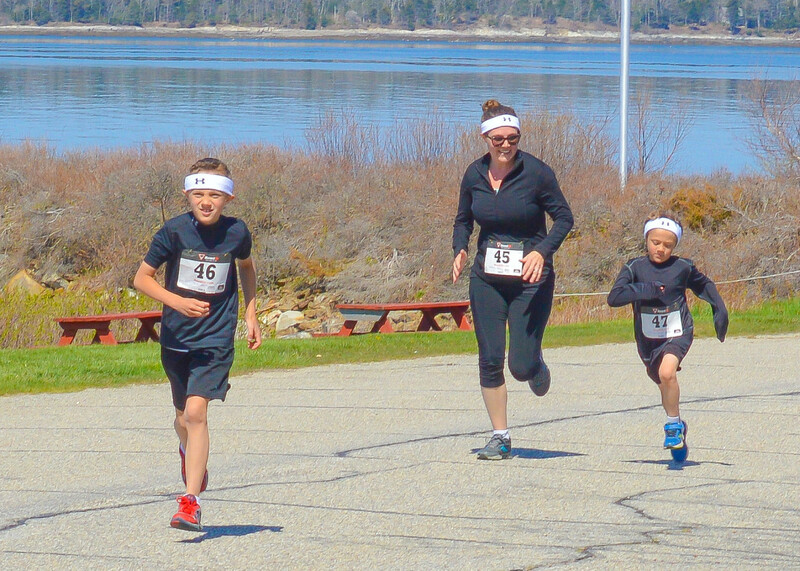 Join us for our annual Run by the Bay 5K Race/Walk and Kids’ Fun Run fundraiser on Saturday, May 11th, 2019 at Mitchell Field on Route 123 in Harpswell. The race will take place at 10 am, followed by the children’s ½ mile Fun Run. There will be pizza from Portland Pie, Wicked Joe coffee and Wild Oats will be providing cookie certificates to all Fun Runners! Age category prizes for 2018 include a free pair of running shoes from FLEET FEET in Brunswick to the top men’s and women’s top finishers, and a free pair of Altra Running shoes or a Fleet Feet Gift Certificate to age category winners in every category. This race promises a little something for everyone, so bring your folding chairs, family, and join us either by running or cheering in support of a great resource to the Harpswell community in a beautiful, and historic, location in Harpswell. The fee to participate in the 5K is $20 per person; if you register online at runbythebay.org and $22 on race-day. The ½ mile children’s fun run is free. HCNS fosters early learning through compassion, creativity, and connections to community, nature, and each other. This event will benefit the school’s scholarship fund and provide resources for our natural play space and scientific investigations. To register for the 5K, go to runbythebay.org or find us on Facebook! Race registration will also take place on Saturday, the day of the event, from 8:30-9:30 am. If you would like to support us with a financial contribution, we would list you as a sponsor and advertise your business at our event! For more information contact Tahnthawan Coffin at 607-0544.